Ophea’s Raise the Bar Intramural Program contains everything you and your students need to help plan and run quality, inclusive, and sustainable intramurals. The program provides an easy-to-follow 4-step process and the opportunity to be recognized as an Ophea Intramural Participation School. Get started now! Quality intramurals are student-focused, inclusive, fun, and diverse activities that maximize physical activity participation for all students and provide something for students of any age, gender, size, shape, ability, culture, or socio-economic status. Intramurals can reach traditionally inactive students and provide opportunities for student leadership. 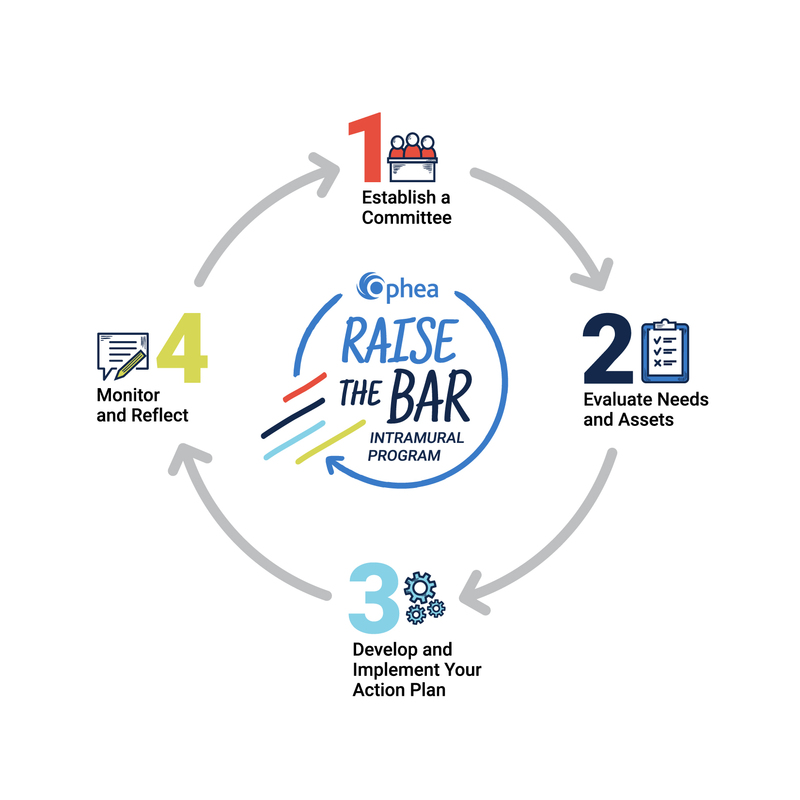 Ophea’s Raise the Bar Intramural Program provides an easy-to-follow 4-step process for educators. Registering for Ophea’s Raise the Bar Intramural Program gives you access to more in-depth information about the key components of the program, tools and resources, and how to submit your program information, as well as the opportunity to be recognized by Ophea with a certificate for being an Intramural Participation School. This program is free–of-charge. Ophea’s Raise the Bar Intramural Program offers Student Leadership Conferences and fee-for-service workshops.